What is the first place that comes to your mind when you think about Brazil’s Carnival? Rio de Janeiro, right? Sure, Rio does one of the biggest, most glamorous, fun, and colorful parties. But Rio de Janeiro is not the only destination to celebrate carnival in Brazil. For many Brazilians, it is not even the most popular place to go. From north to south, east to west, each Brazilian region has its own, unique way to celebrate carnival. When do Brazilians celebrate carnival? Officially, carnival lasts four days: from Saturday to the Tuesday preceding Ash Wednesday. But, really, carnival festivities begin several weeks before that. 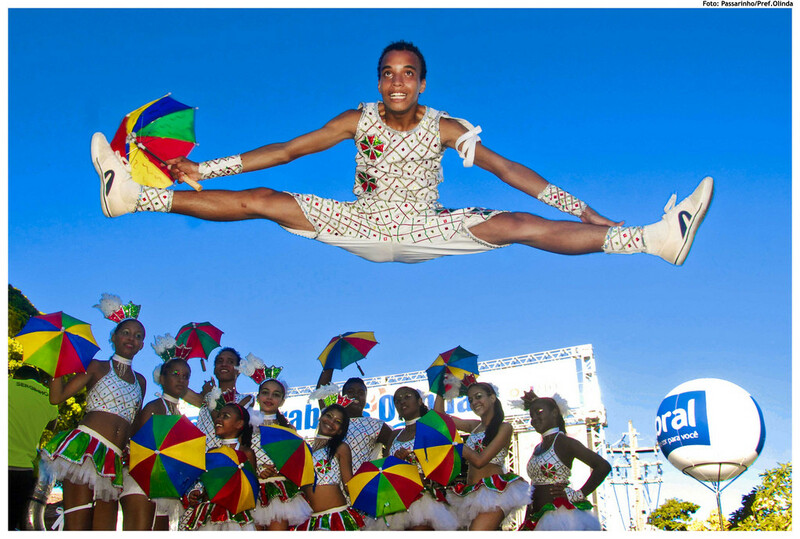 In 2016, the first official day of carnival will be Saturday, February 6. What are the most popular destinations to enjoy Carnival in Brazil? Besides Rio de Janeiro, the most popular destinations are Salvador, in Bahia, and Recife and Olinda, in Pernambuco. How is carnival in Salvador? In Salvador, carnival is about Axé Music (música baiana) and trios elétricos, with millions of people dancing on the streets. Trio Elétrico (electric trio) is the typical Bahia Carnival float. It is a truck equipped with a powerful sound system, and a music group playing on the roof. Check out a video with Daniela Mercury’s Trio Elétrico here. The Trios Elétricos play for different Blocos (carnival groups) that you can choose to be a part of. To do that, you need to purchase a t-shirt called “abadá”. It works as your ticket. Their party is a treasure of cultural fusion and musical styles, combining Afro-European tradition with Brazilian contemporary culture. In Recife and Olinda, you will dance to the rhythms of frevo (opening picture), maracatu, samba, rock, and mangue, which I love. Check out this mangue song here. Mangue Beat is a blend of hard rock, hip hop, and traditional Northeastern Brazilian styles. Carnival in Recife and Olinda is a participatory event, with an infectious euphoria and fabulous dancing. You don’t sit and watch the party. You join in and become the party. In Recife, you can also have fun at Galo da Madrugada, the largest carnival Bloco in the world. I don’t like parties. So is Carnival a terrible time for me to go to Brazil? Not at all! It’s summertime, after all 🙂 Many of our beautiful beaches and countryside locations will remain a good option to just chill during carnival. So grab some Portuguese and happy Carnaval!